Tiffany Wisteria lamp after Clara Driscoll, designer and director at Tiffany Studios, 65 cm high. 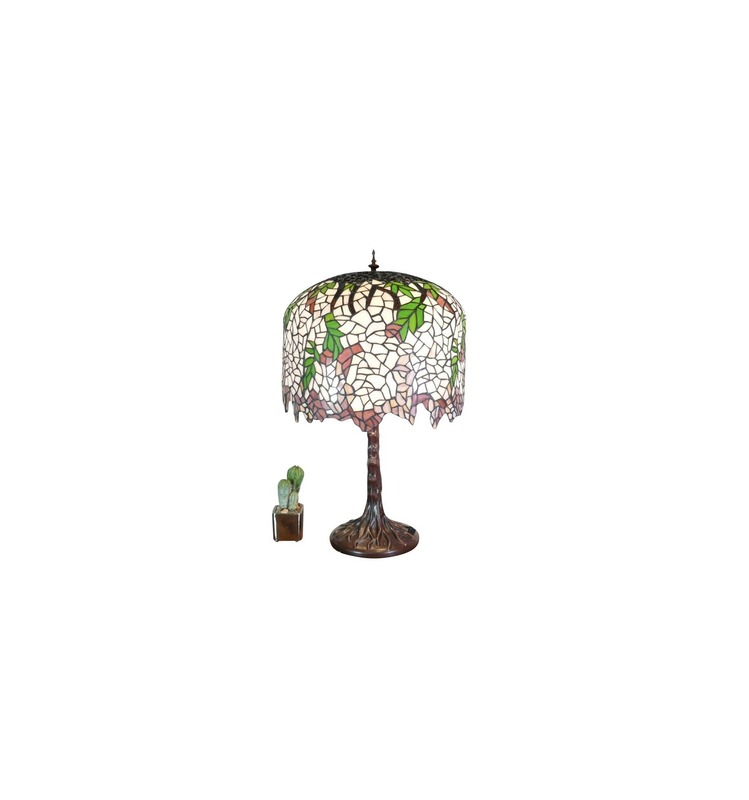 The Tiffany Wisteria lamp was made after the creation of Clara Driscoll, designer and director at Tiffany Studios for 20 years. The material of the base is metal, a patina of bronze color has been applied. Clara Driscoll's contribution to Tiffany Studios has long been unrecognized, as all of Tiffany's records were lost after her bankruptcy in 1932. The studio she ran was responsible for choosing the colors and type of glass. The patterns used before his arrival were static and geometric. 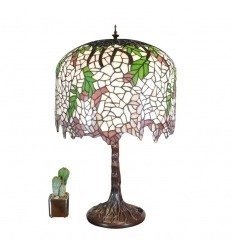 While it had always been accepted that Louis Comfort Tiffany was the designer, it appears that it is rather Clara Driscoll who is at the origin of the famous lamps, like Wisteria , Drangonfly (dragonfly), Peacock and Daffodil .